I had just told him I was from the U.S. (“Stateside”, I said, “…Oregon”). 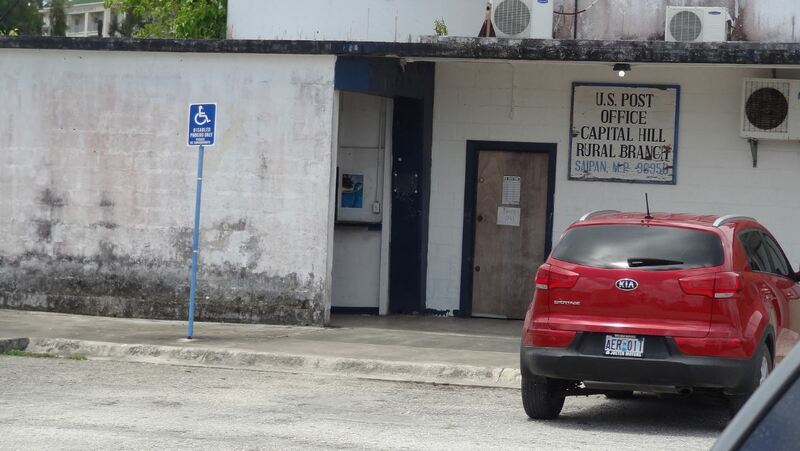 Apparently the CNMI and Oregon share at least one thing – you can’t pump your own gas (you could in Guam). “Yes, yes,” he guardedly replied, I wasn’t sure whether he believed me or actually remembered the quarter. 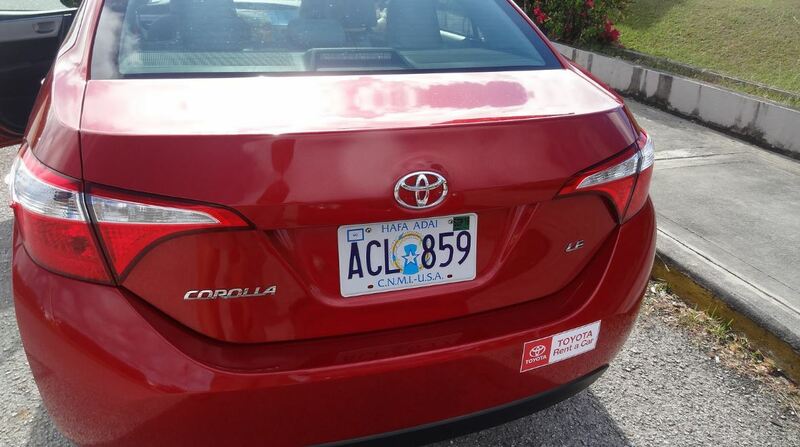 A major bonus to expanding one’s Amercan travel horizons: You become virtually unbeatable in the license-plate spotting game. The U.S. established a commemorative state quarters program that lasted from 1999 until 2008. In 2009 the treasury minted quarters for the D.C. and the five populated U.S. territories. Northern Mariana Islands was the very last quarter released in the program and was (by far) the least minted with “only” 72-million made. It was that minting, however, that brought the Marianas into a mainstream focus in the continental U.S. You could assume that the average American is at least somewhat aware of the existence of Puerto Rico in the U.S. geopolitical spectrum. You could also probably assume that the American-branded U.S. Virgin Islands and American Samoa ring a bell for that same slice of the population. 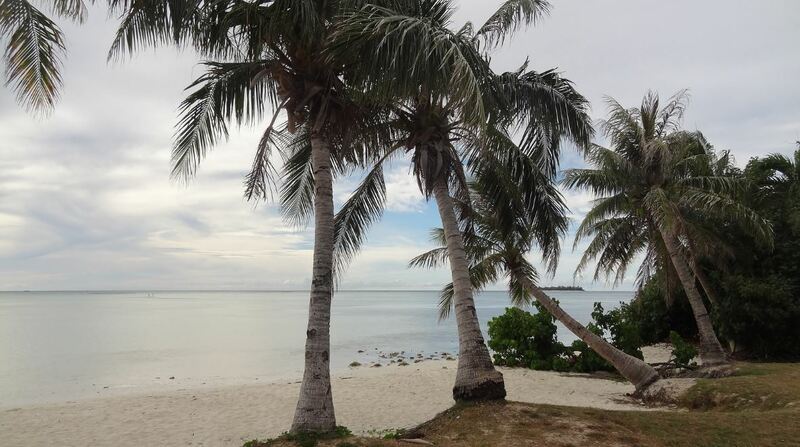 Guam may prove foggy for some, but the Northern Mariana Islands are usually that “fifth one” that people miss when you ask them to name our territories. The Commonwealth of the Northern Mariana Islands consist of Saipan (where most of the population is located), nearby Tinian (known for the loading area of the bomb that was dropped on Hiroshima) and Rota. The chain extends northward with a variety of uninhabited islands. Guam completes the chain of the Mariana Islands, and while the CNMI has voted to include Guam and become one singular Mariana Islands entity, Guam has rejected the proposal (speaking from what I’ve just briefly read, some of this stems from resentment over the Chamorros in Saipan assisting Japanese on Guam during World War II). 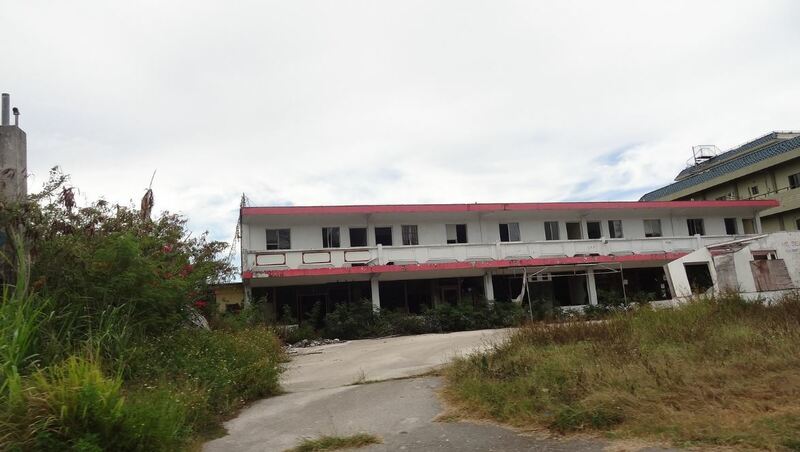 Saipan was hit hard by Typhoon Soudelor in August of 2015, a storm that destroyed and damaged countless numbers of homes and businesses. 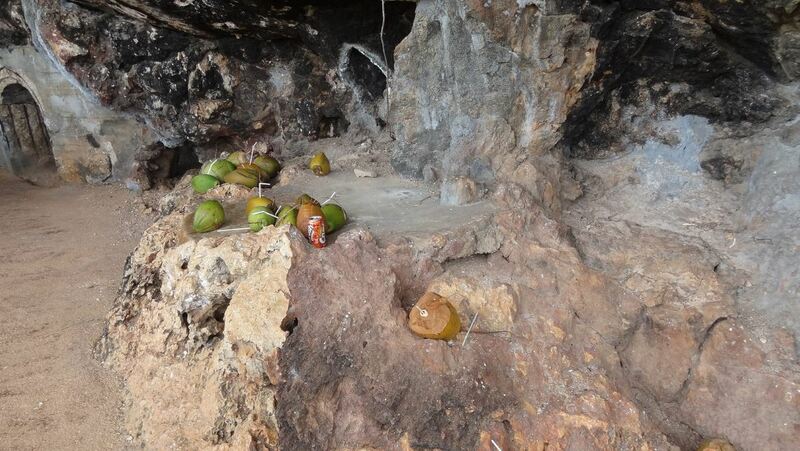 Basic services, especially electricity, were unavailable in some areas for many weeks. The Commonwealth was declared a U.S. federal disaster area and received nearly $26-million in aid towards restoration. You can definitely see the effects of the storm on the CNMI upon touching down in Saipan, the island has a more hardscrabble appearance in relation to Guam. 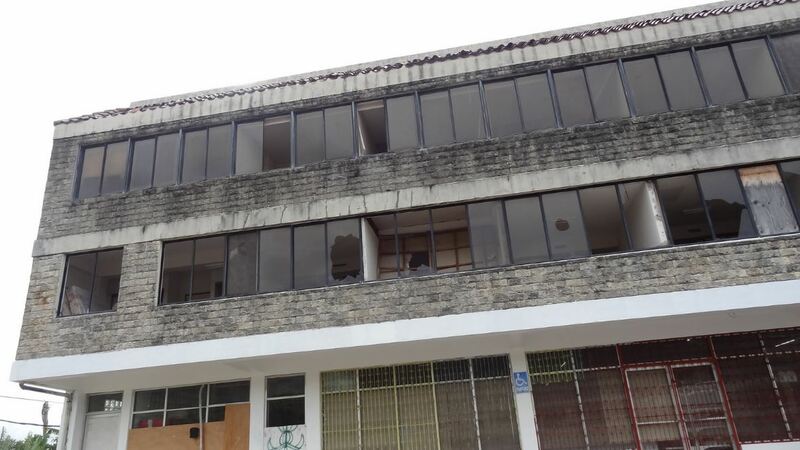 There are gutted out buildings and large hotels sitting empty. The clean-up and rebuild is still very much apparent. 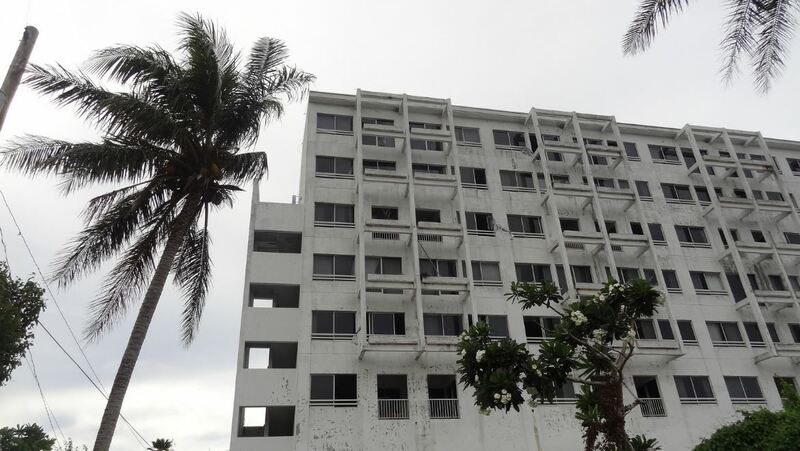 The island still has a ways to go in repairing the damage done from the 2015 typhoon. 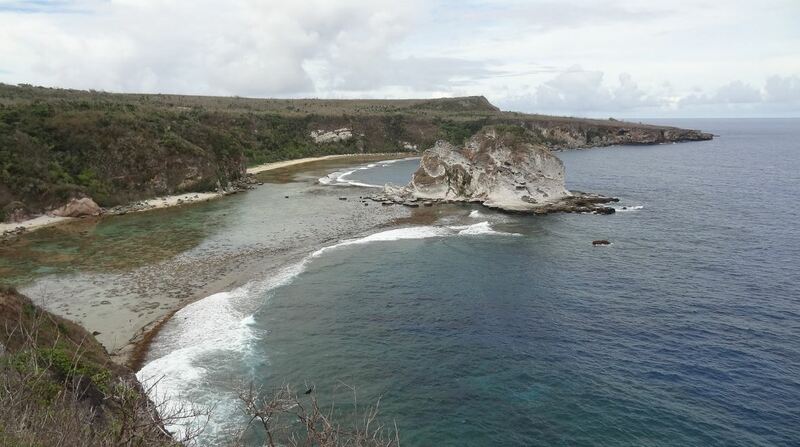 We only had a day to explore Saipan, which is enough if your doing a site-to-site self-tour of sorts. To get to Saipan to Guam you have one option: United Airlines. 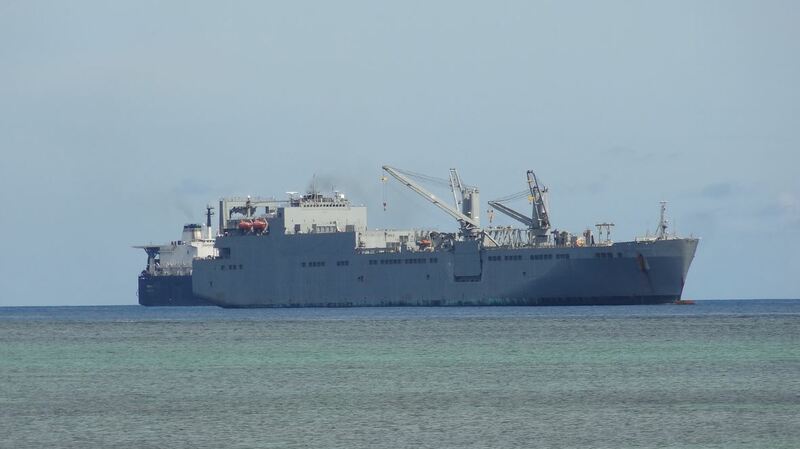 The U.S. carrier has a monopoly on most of the island hopping in Micronesia, including Guam and Saipan. There isn’t a ferry nor is there a locally-based commercial air service. You are left having to purchase a fairly pricey United ticket (considering the short distance). My thinking was that we came all the way out to Guam, and, when in Guam, well, you might as well try to get to Saipan too. A territorial two-for-one made way more sense since I wasn’t sure when or if we’d be back out that way. 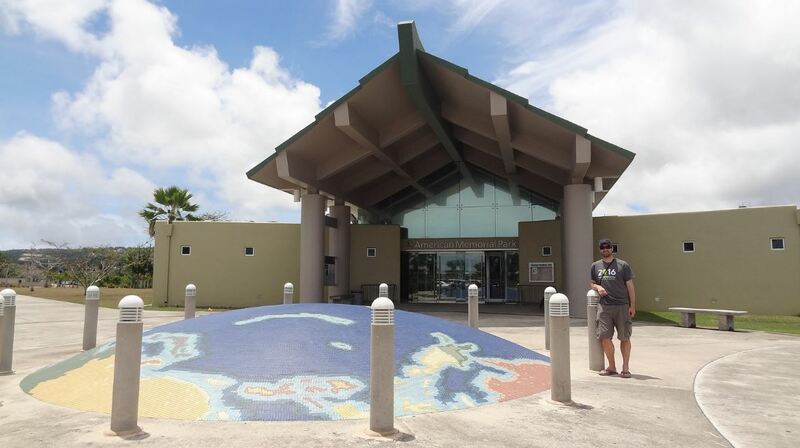 American Memorial Park is the CNMI’s only National Park Service-affiliated area. The park service does not formally count it as one of its official units, but National Park junkies should make a visit anyway. The museum is top notch and they have a park stamp for your passport! 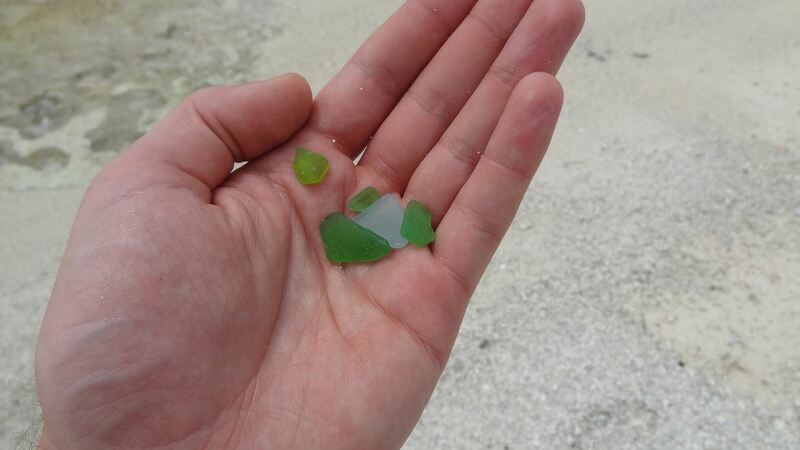 Wing Beach was littered with some great sea glass! Our first stop was to find some sunscreen – so we visited the kitschy I (heart) Saipan store in Garapan. I don’t think I’ve ever seen so many cheap trinkets in one place, the selection of overpriced magnets alone would have humbled any American boardwalk junk store owner. Don’t get me wrong, I do have a fun little box of junky little souvenirs I collect from everyplace (I do try to get stuff that is made in the places I visit too, those I’m a little more proud of). 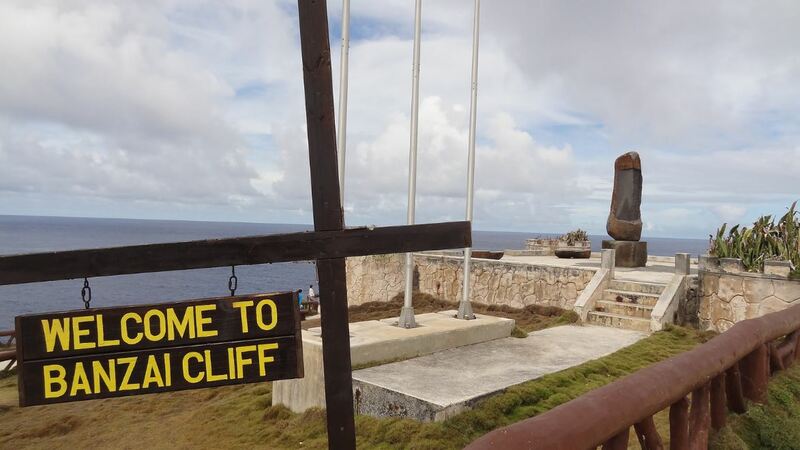 Banzai Cliff area on the very northernmost end of the island. This is essentially the furthest north most people usually get in CNMI. Islands north of here are uninhabited. 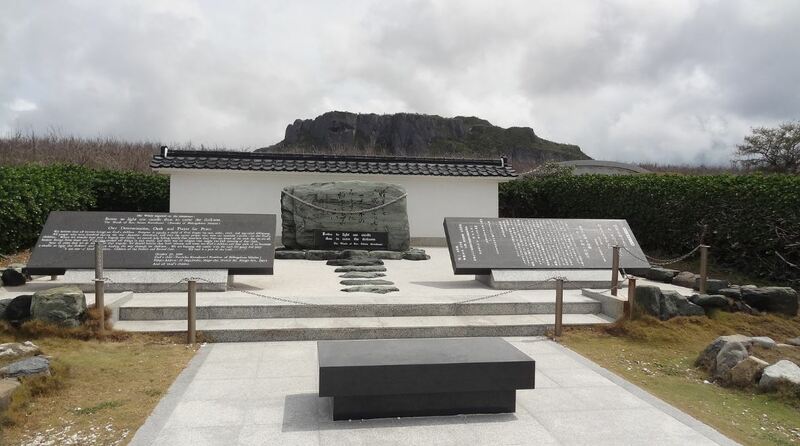 We doubled back to Garapan to visit the National Park Service-affiliated American Memorial Park. 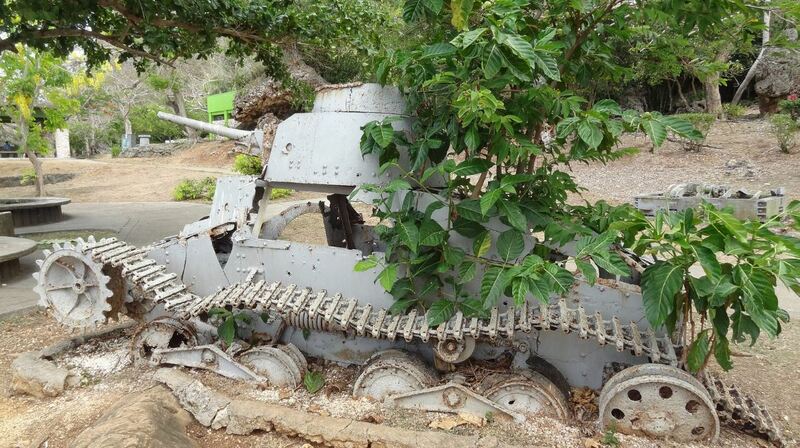 The park contains a museum detailing the island’s history during World War II. It is staffed by a National Park ranger from the continental U.S. and by all appearances inside feels like a full-fledged National Park site. 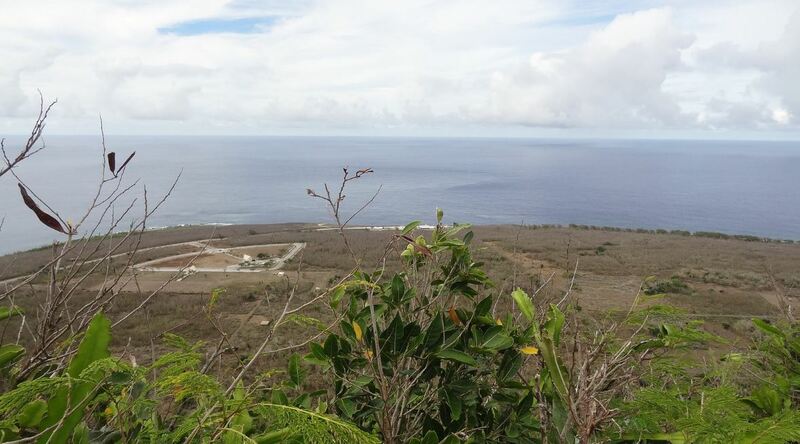 The ranger explained to me that because CNMI has an indigenous land ownership clause (in which all land is owned by the CNMI), the park service technically cannot ever own the property – and can only contribute through the affiliate status. He was quite impressed by my 2016 National Parks anniversary t-shirt, something they hadn’t received for their gift store ;-). American Memorial Park is also due for a mainstream American acknowledgement of its own, it will appear on the U.S. quarter in 2019 – part of the America the Beautiful quarters program. 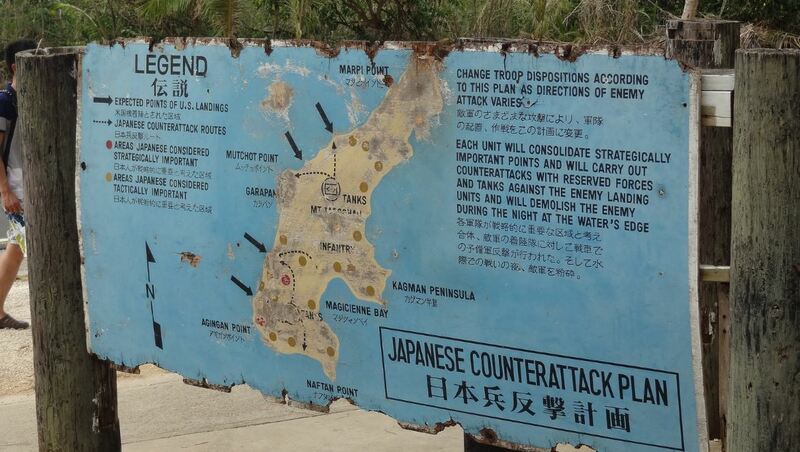 There is a park near Banzai Cliff (called Marpi Point) that memorializes and protects the last Japanese stronghold on Saipan. 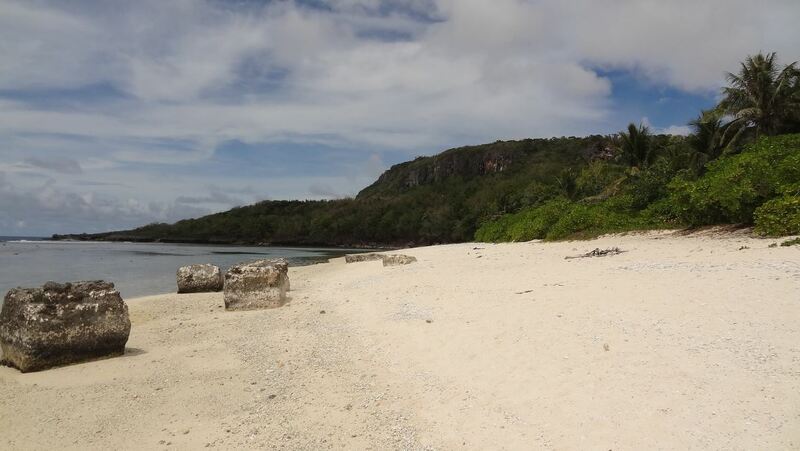 We drove up to the northern end of the island and visited Wing Beach, a completely deserted stretch of sand that doubles as a turtle hatchery. We didn’t see any turtles, but spotted an octopus maneuvering its way around the shallows. View from Suicide Cliff, Banzai Cliff is at the very north end. A memorial cemetery is to the left. 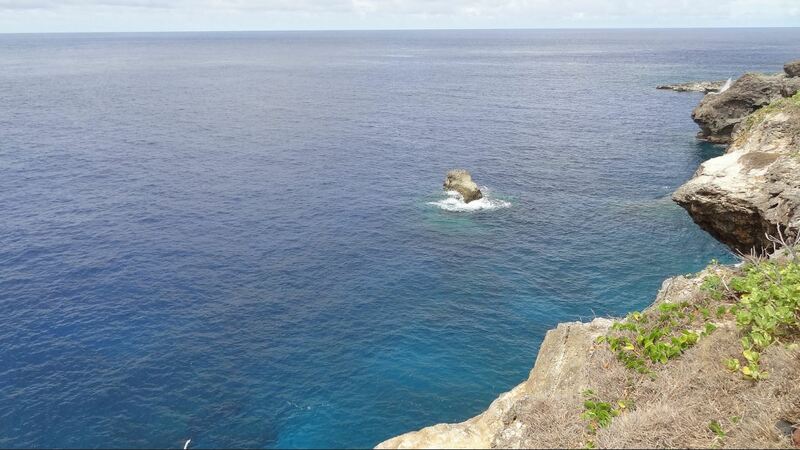 Bird Island is on Saipan’s northeast coast and is a sort of symbolic image of the CNMI. It does have a very Oregonian feel to it, doesn’t it? On a much lighter note, we spent our evening back in Garapan and took in the Saipan Thursday night market, where vendors set up selling their BBQ’d food and snacks and live music keeps the party going until the late hours. 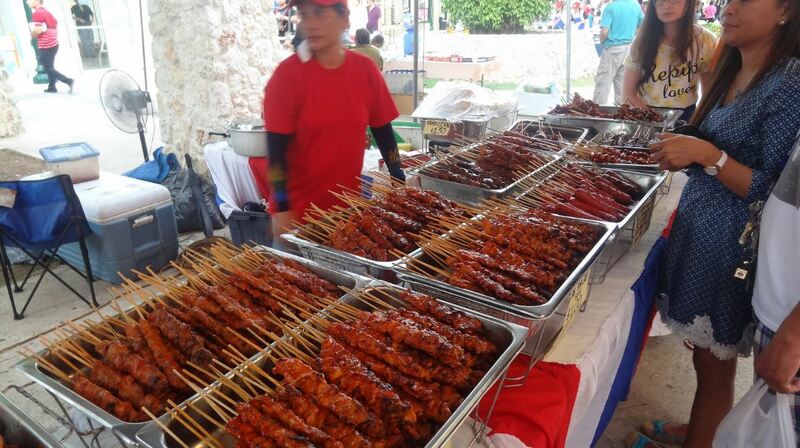 While somewhat muted in contrast to the crowded Wednesday market in Guam’s Chamorro Village – Saipan’s street party is just as, well, tasty. There are tons of different BBQ-on-a-stick options here, but we played it safe with some very tasty pork and chicken options (I wasn’t too keen on trying the pigs ears or intestines). 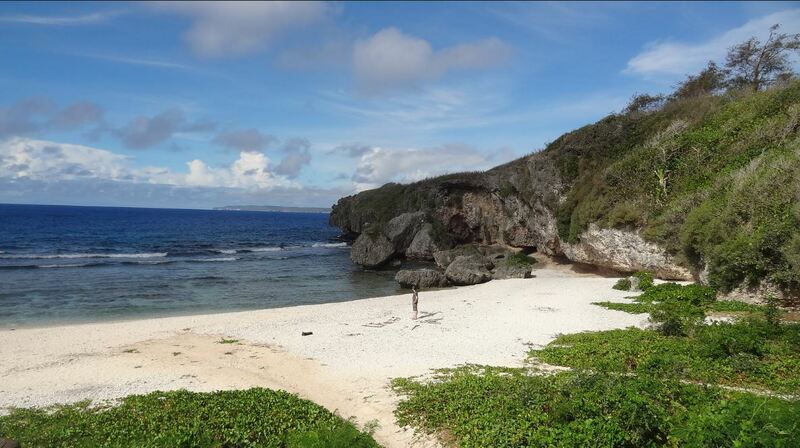 Micro Beach near Garapan is considered Saipan’s best swimming beach. Its also the beach I used in my header image for this post. Sandbars galore at low tide! Time to feast at Saipan’s Thursday night market. BBQ-on-a-stick for everyone! I’m glad Breeah and I were able to notch a visit to the CNMI and gain some first-hand knowledge about a very important part of our country. 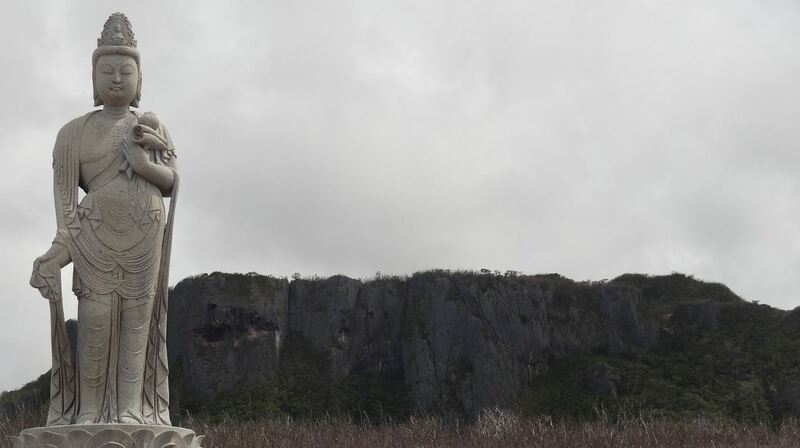 While I understand not everyone is in position to travel like we do, I wholeheartedly recommend putting the U.S. territories near the top of your travel bucket lists – especially the Pacific Ocean territories. 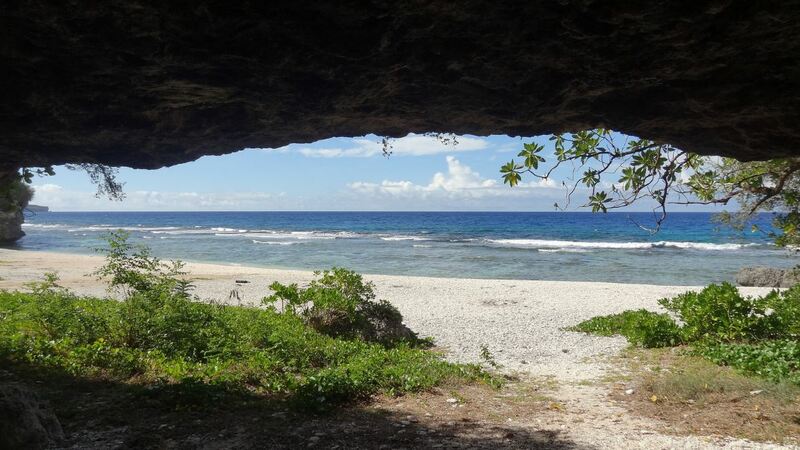 There is a certain charm to Saipan, a friendly local culture, a place relatively devoid of tourist traps (at least traps targeting Western tourists) and the feeling of being way off the beaten path while still enjoying the relatively comfortable embrace of being in one’s own country. 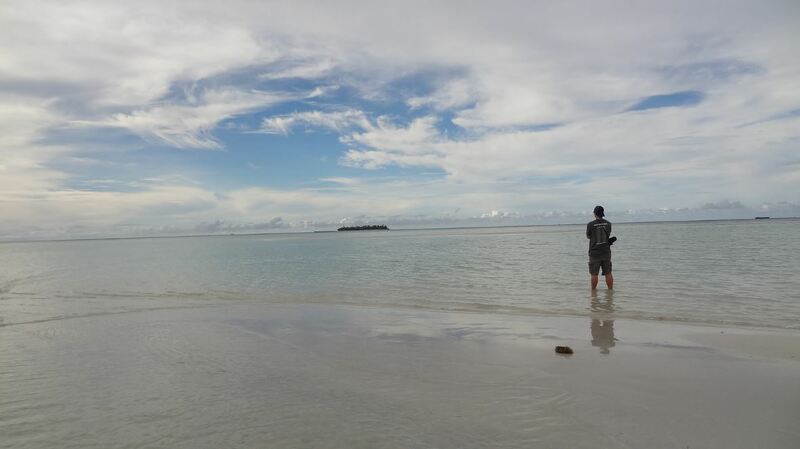 Hey, and if I can convince a few more would-be Caribbean-bound tourists to ditch those plans for a trip to the Northern Marianas, maybe that gas station attendant will fondly remember that guy who told him that everyone knows Saipan. It wasn’t just Japanese soldiers that jumped off of Suicide Cliff. Civilians also jumped (including children) in order to avoid what they believed would happen to them at the hands of U.S. soldiers. 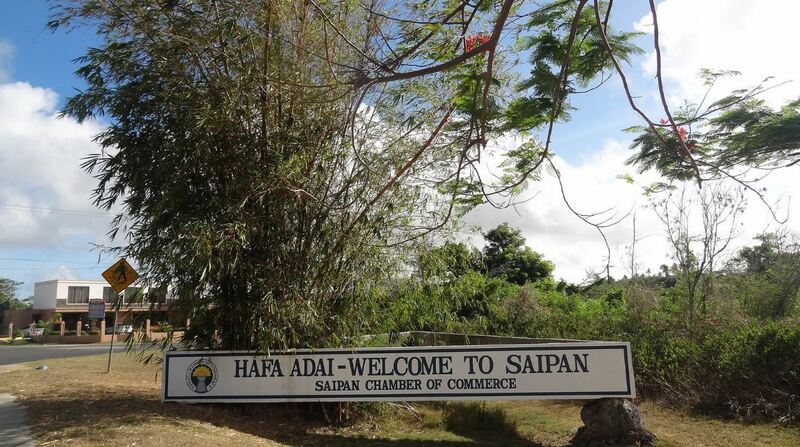 So admittedly I hadn’t even heard of Saipan until reading this, so I’ve been educated! Now all I can think about is how I can import some of that BBQ-on-a-stick. Thanks for the write-up and some great pics. I have some catching up to do on your page. Hope summer is treating you well! Thanks for the kind words Tyson! I have some catching up to do on your page as well – will have to read more about your Alaska journey, that sounds quite impressive and something I’ve always wanted to do myself.